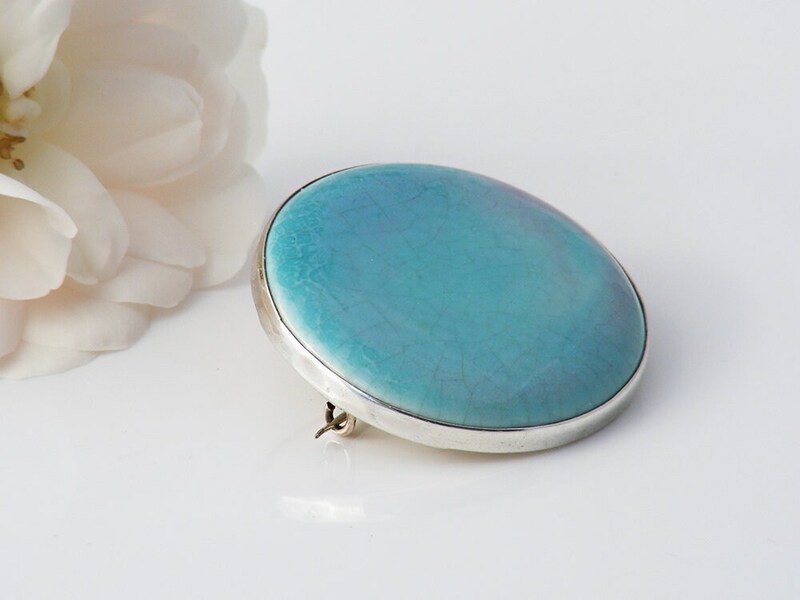 A classic Ruskin Pottery antique brooch, a delightful turquoise blue disk set into sterling silver. 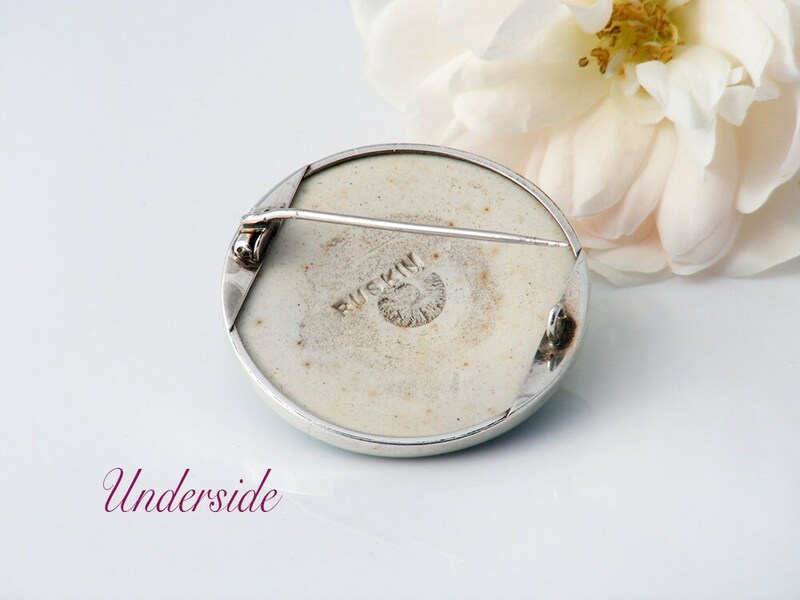 This Edwardian era pin is simple and very, very beautiful with all emphasis on the delicate color of the ceramic insert. The ceramic glaze shades from aqua blue to turquoise with a blush of palest mauve-grey. Glossy and very smooth to the touch. The pottery insert is very clearly stamped RUSKIN to the unglazed back. 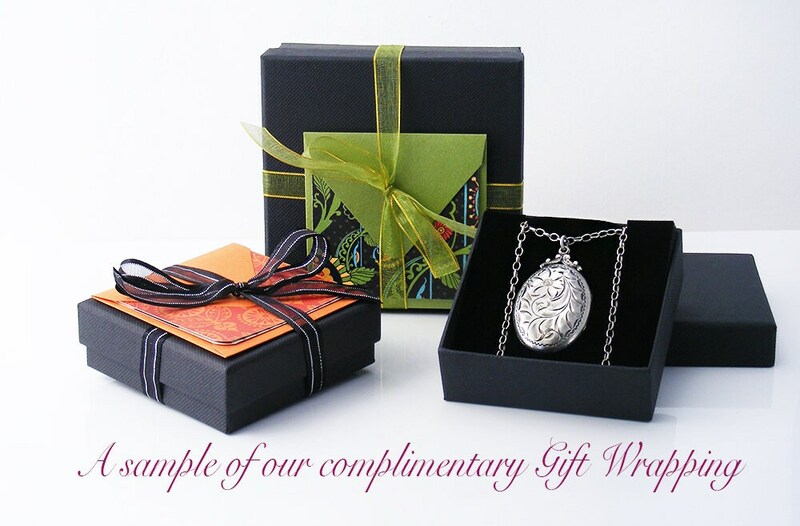 The silver mount - unmarked sterling silver, tested and guaranteed as such. The brooch clasp has a tube hinge and a simple spiral C-clasp. 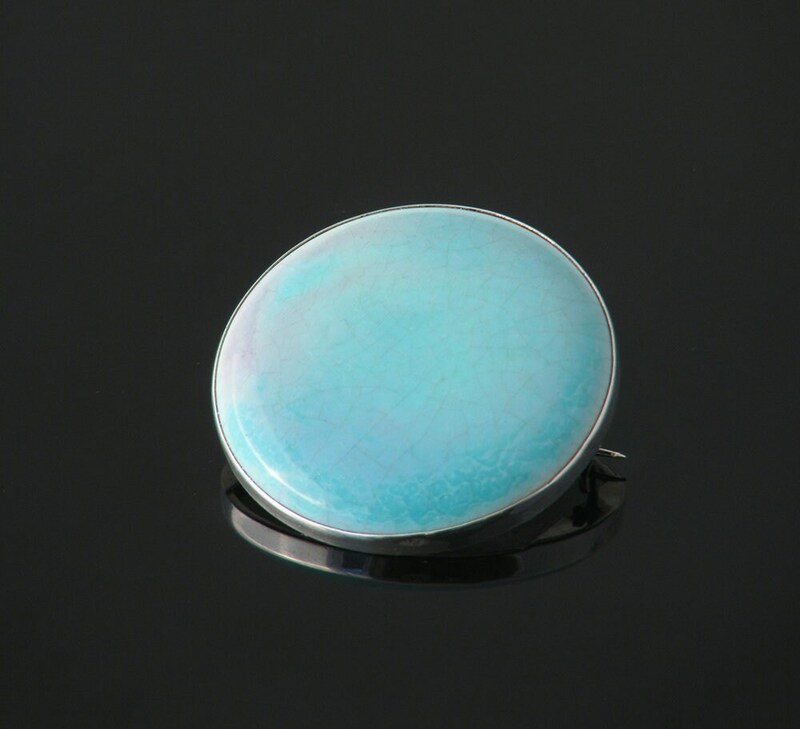 Size: 37mm or 1.45 inches and gently curving to approximately 5mm in thickness with the silver bezel 3mm wide. Shown on a life size torso in image #3. Excellent. No issues to report. No chips to the glaze, nice patina to the silver, the pin is very sharp and the brooch pins securely. This is a museum quality piece. NOTE: the fine crazing seen under inspection is part of the glaze (well underneath) not damage. The perfect pin to add a pop of color to an outfit. 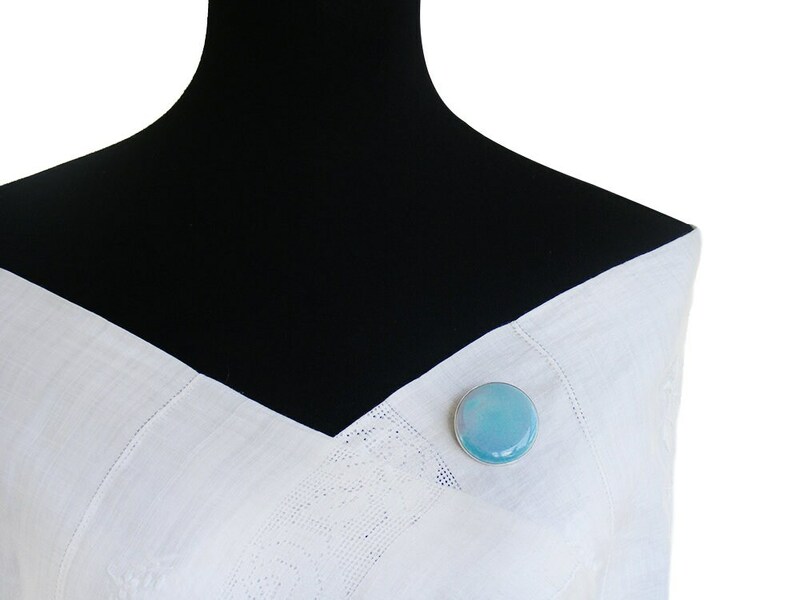 Tasteful, minimal and lovely - a unique little wearable artwork.